A lot of things have happened since I’ve last written to you, blog world, and I apologize for that. Cool things: New Years, The Bacon Princess turning one year old and a party filled with bacon and booze to celebrate, and a trip to my beloved NYC. Terrible things: sick for two weeks with the flu, no solid food, and no bacon. It was terrible, but I’m back and just in time for the Super Bowl. 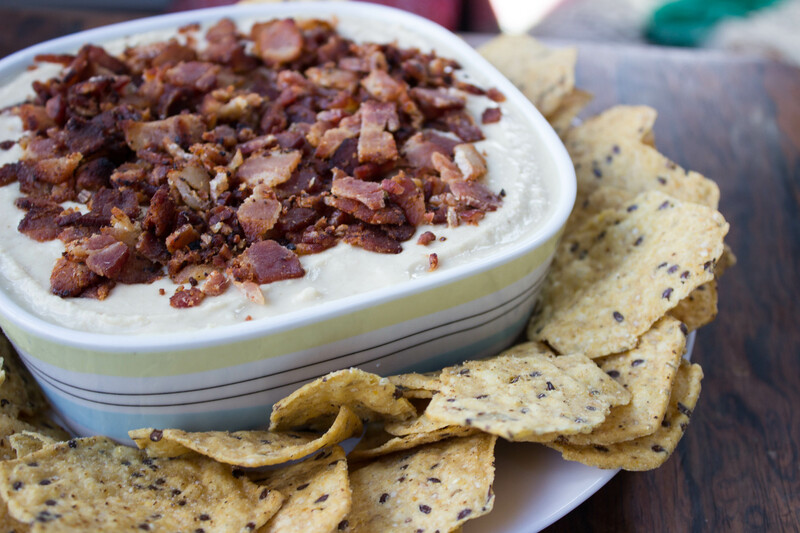 This bacon hummus is a dream. I served it at my Bacon Princess Turns One party and there wasn’t a single speck left. Not to toot my own horn, but several friends in college literally paid me to make weekly batches of hummus for them. My hummus game is on point. 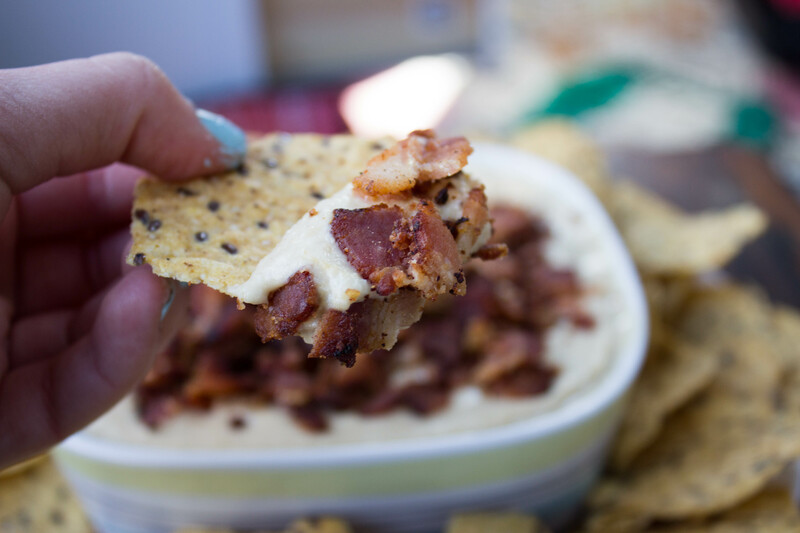 And of course because bacon makes everything better, the same held true for this hummus. Make it, surround yourself with whatever chip or cracker is your favorite, and enjoy this creamy, meaty dip while you watch the Seahawks win on Sunday I MEAN while you watch the Super Bowl. Pro-tip: make these bacon encrusted chicken nuggets, too. And add buffalo sauce. Wing problem, solved. Remove bacon to a plate lined with paper towels to absorb the grease, doing your best to keep as much of the grease in the pan as possible. Add all ingredients (including bacon grease) except cooked bacon to food processor. Blend for about a minute, or until fully combined. Add salt if you like more salt, and add more grease/oil if your hummus needs to be smoother. Transfer hummus to a bowl and top with cooked bacon. Serve with whatever vessel your heart desires. I have made hummus forever. This the very BEST recipe ever. Thanks! By the way out of desperation I bought 3 new baking pans, top grade from Wm. Sonoma. Someday you may have them: one ³lasagna² rectangle, one 9² round and one 9² square. Heavy, coated with gold. Woo hoo. Borrow anytime Can¹t imagine anyone better to leave them to.